You’ve seen them on Britain’s Got Talent, but after a whiplash from being once signed and then dropped by label Syco, the guys from Indie pop group, The Loveable Rogues, have pulled out the big guns and strived forward, introducing a smashing debut album, This & That. 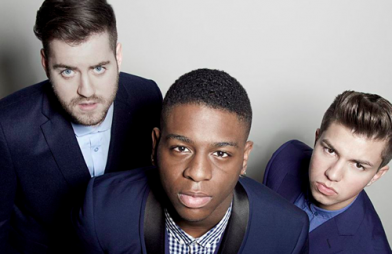 The London-based British band, members including Eddie Brett, Sonny Jay Muharrem and Te Qhairo Eugene are already taking their career into their own hands; having already scoured the country on their own tour, The Loveable Rogues are reeling out the tunes, and they won’t rest until they achieve the recognition they deserve. What’s interesting about this album is that unlike any other band, these 4 guys have a sound characteristic to them and which is instantly recognisable. It is also a sound that is diverse in style and thus incredibly different to any band you’ve heard before. What’s more each song is developed into its own genre; with edgy and electrifying tracks like ‘Nuthouse’ and ‘Everything’s Better With You’, the band sounds almost as hard-core as a rap artist throwing down some banging tunes despite the impression that we can rather expect a pop sound from the band. Tracks such as ‘Honest’ and ‘Not The Someone You’re Not’ are both invigoratingly fresh and cool, sure to have you bristling with pleasure and zeal. Admittedly a few tracks make the band sound typically manufactured and I’d even go as far as to say there are a few songs that can be considered banal. But one thing that is guaranteed with this album is that the tracks are surprisingly memorable and tuneful, undoubtedly perfect in this way. What’s successful about this band is how elaborately varied their style is. I think what’s most profound is how the guys create songs that are also very relatable to the public and not only do you hear this through listening to the lyrics but also through the way they sing them. Take ‘This & That’ and ‘Front Story’ for example, where the singer’s dialect is evident, creating a realism to the music, much as you might expect from a social/realism film where we are given a rustic view of society. For one this is a great benefit meaning the band is able to attract a specific and loyal target audience. Yet on the other hand, to have songs that are developed to sound purely esoteric and very ‘fictional’ and cliché, people would much rather prefer to escape into songs other those produced by The Loveable Rogues. So whilst some people like songs to relate to, there are others, and perhaps a wider audience who would much rather escape reality by listening to songs dissimilar to the band’s songs. If I could sum up this album in one word I’d say unexpected. Essentially you will look at these guys and think that this is just another band; why on earth should you pay attention to them when there are already so many others out there? When I sat down to listen to the album, and I mean actually listened to it and took it in, I didn’t foresee how captivating the band’s sound really was. Certainly, their style is raw and the lyrics are reflective of reality which, as said, is controversial between different groups of people. But if you sit tight and listen to the guys purely to bathe in the beguilement of your senses as you take in the songs, you can at least treasure the hard work they’ve put into creating a debut album worthy of praise and approval. Whether you have a specific taste for pop songs, indie songs, rap, alternative and really any genre of music, one thing I would say though is that, if you have the time, the album’s definitely worth listening to. It suits everyone’s taste and there will surely be one track that will manage to be a favourite of yours.